Big time apologies to everybody that was following along and has been left hanging for forever and a day. Time flies when you’re working in a brewery, doing festivals, attending local beer events, and trying to keep your sanity. Beyond feeling bad about not updating at all, I feel especially bad that my award-winning goals have been hampered by my guilt with regards to entering homebrewing contests. Assuming I could continue racking up awards (an iffy assumption at best), I don’t like the idea of knocking a budding homebrewer’s entry down to 2nd, 3rd, Honorable Mention, etc. I’ve got my foot in the door and plenty of confidence (according to our Head Brewer Dave), so what do I have to prove in the homebrewing realm? 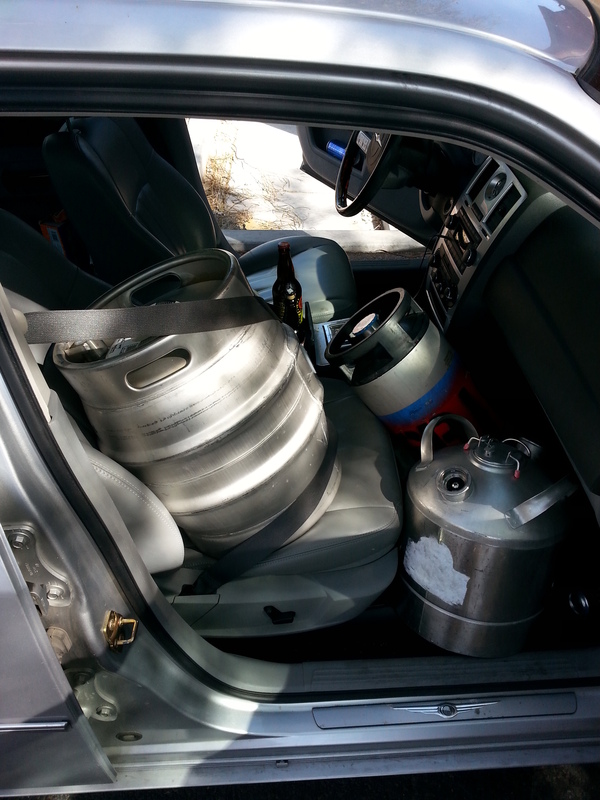 With that said, I do want to start homebrewing more regularly again. I’ve got my chest freezer back in action at the house and I’m itching to make a Helles, whether professionally or at the homebrew level. Well, it will be back in action once I bottle the 4 funky homebrews I have cold crashing in it. Before I give updates on all the sour & Brett adventures I have going in my homebrewing, I do want to update everyone on Dog Gone Saison. 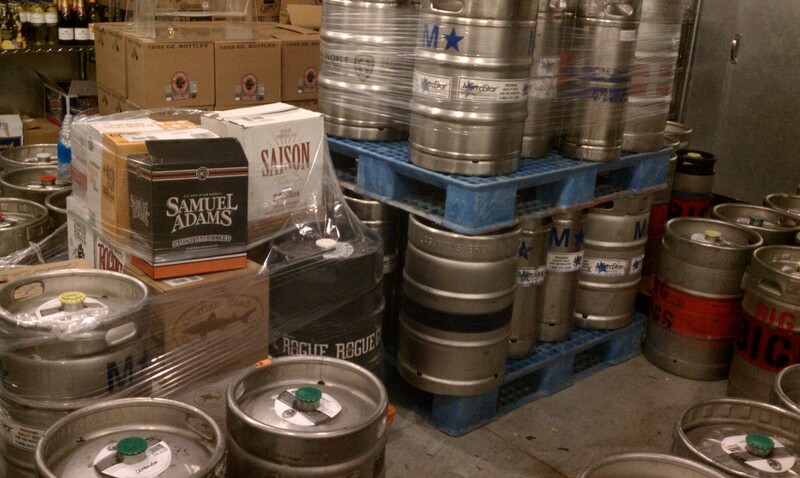 The last couple kegs are just getting finished off (if they haven’t been already) at Velveteen Rabbit & Public House. 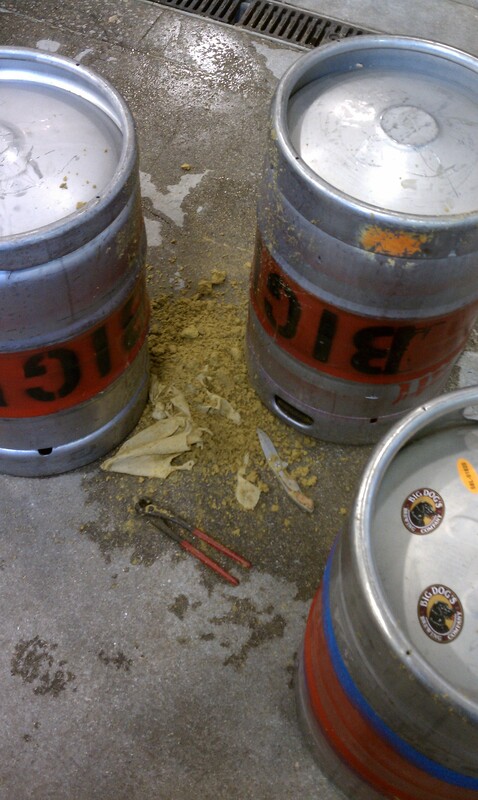 Although we do have one 5 gallon keg of Limoncello-soaked soft maple wood aged Dog Gone. Who knows when that strange animal will make an appearance. While I am a big fan of a lot of the honeycomb products I’ve been playing around with from Black Swan Cooperage, the Limoncello may have been a bit ambitious. 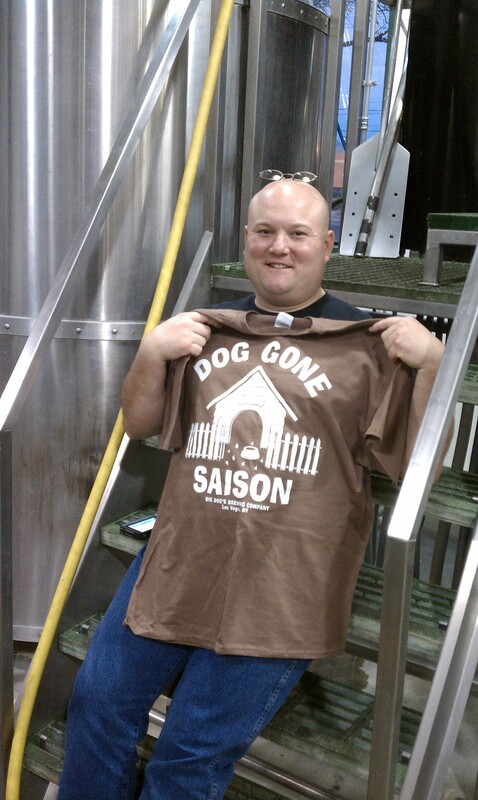 Anyway, I’m excited to unveil the new Dog Gone Saison label! That’s right! 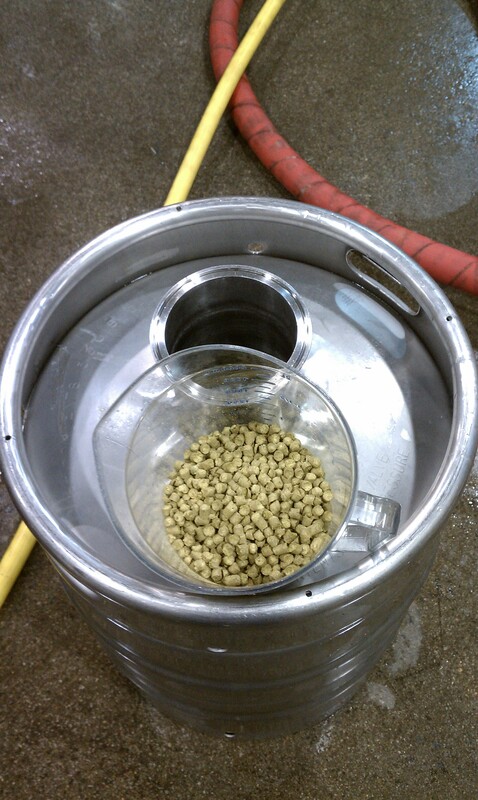 Expect that bad boy in 22oz bombers sometime in the future! Don’t panic. It’s still going to be around 6.6% and not 9.1% as the sample label indicates. Serg gets bonus points for wearing the Dog Gone shirt while presenting his Dog Gone goblet! Even if that was the one-off Citra dry hopped keg. In other news, I did want to make sure to update all the open-ended homebrew donking around I have going on. – The 9/15 Wit with WLP410 got hit with Brett B. It smells great but still has a pellice. 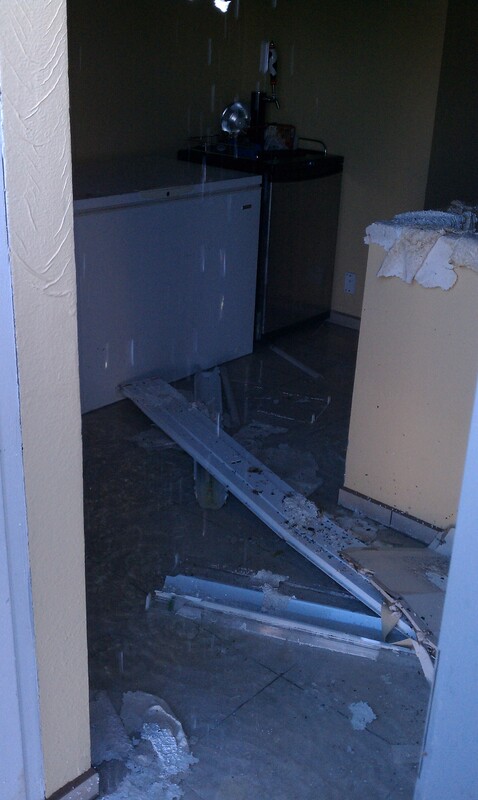 That was the beer that blew the lid off its bucket and open-fermented in my living room for a night. I’m letting it continue to do its thing. – The 6/28 Rufus Saison that was hit with a Brett B & Brett L mix is a touch thin with a good amount of horse blanket to it. 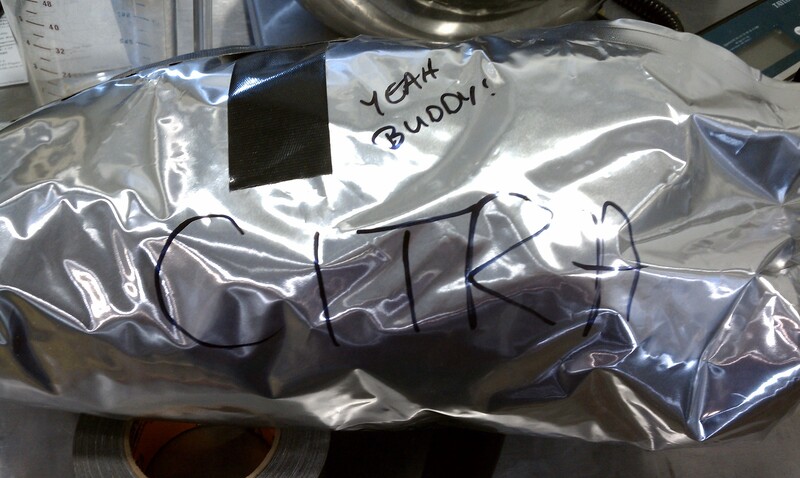 I dry hopped it with 2oz Citra and plan to bottle it soon. – The Galaxy Belgian IPA I brewed with a buddy from Australia and then later hit with Brett B was tasting and looking quite dark and oxidized. I added a vial of Flemish Ale Blend I had in the fridge just to amuse myself. – The 6/14 Dubbel that I added all those sour & Brett dregs to over a year ago has a wonderful Jolly Pumpkin-esque nose to it. Flavor is a touch more subdued and has a hint of acetone. It’s currently cold crashing. – The Lime Saison with limes still floating in it and Lambic Blend added 3/26 still tastes like Pinesol’s new lime flavor. I might hit it with some cherry puree just for the hell of it. – The 3/30 13 Rye IPA (brewing pictured here with recipe borrowed & altered from my buddy Tom) with one vial Cal Ale & 2 vials Brett B Trois has some sweet maltyness, good tangy rotten pineapple & mango characteristics and recently got hit with a 6oz dry hop. Mosaic, Citra, Simcoe, & Galaxy. It’s crashing and should at least smell great. – The 1/1 Ahtanum Saison wasn’t too bad. I just left it for too long. I dumped in a vial of Brett B. 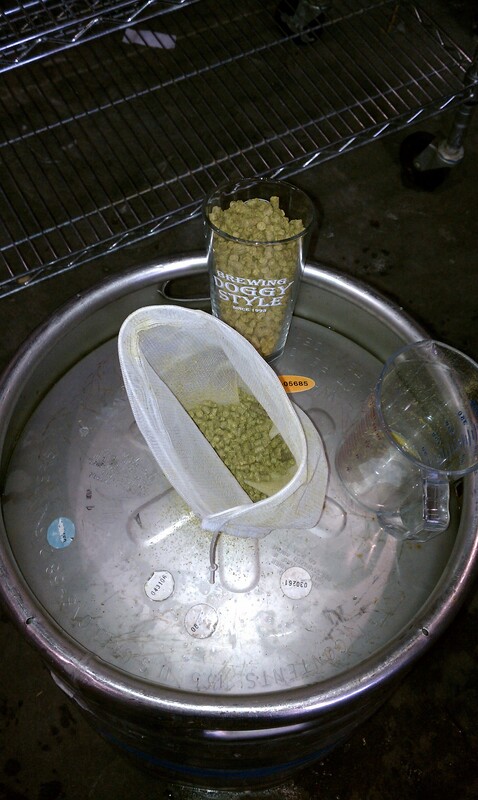 – The 8/24 Hef that I dry hopped with Nelson and then soured on 12/3 smells great. The taste has some sweaty/meaty notes. I dry hopped it with 2oz of Citra and now it’s cold crashing. – The 6/23 Brett C Tripel that tasted like Tijuana bathroom has been soured and has an interesting sour & burnt toast nose. The flavor is sickly sweet with a sour finish. I’ve been thinking plums might be a fun addition. 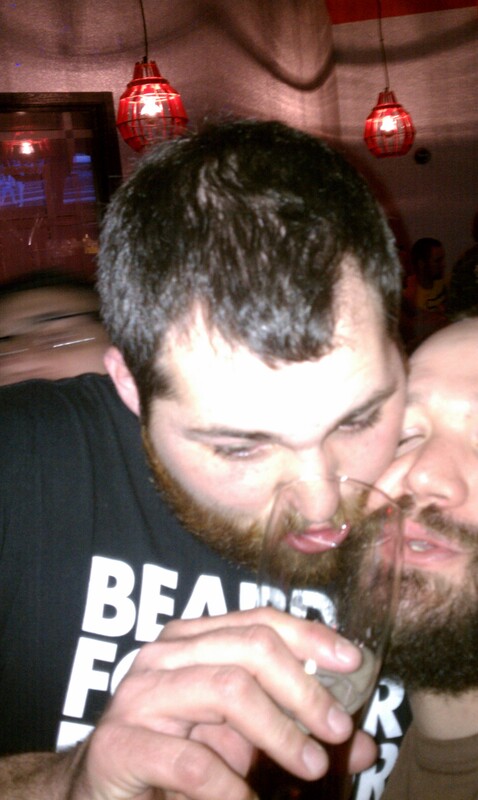 – 12/25 Dank Dog Saison was rather underwhelming. I don’t know if it was the quality of the Liberty & Columbus hops I had or the combo but it just wasn’t even close to what I wanted it to be. I had a few people say they liked it but there were just being nice. The other fun thing I’ve been doing at Big Dog’s is making all the casks. The real ale/firkin/cask program has been going for a couple months now and it’s been a fun playground for me. 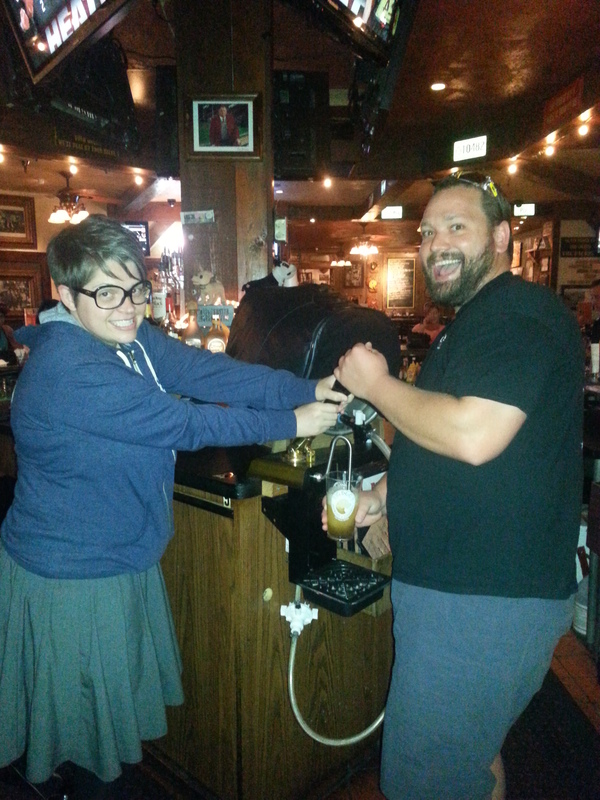 I’ve loved getting to trying different creative firkins tapped at the Draft House every Thursday. Disaronno soaked oak on Black Lab Stout for an Embers beer pairing dinner, Dirty Dog IPA dry hopped with Citra for Khourys, and Wild Turkey American Honey soaked oak on El Perro Diablo (Belgian Golden Strong) for Firkin On Paradise’s Anniversary party this Friday 7/12 have been some of the highlights so far. 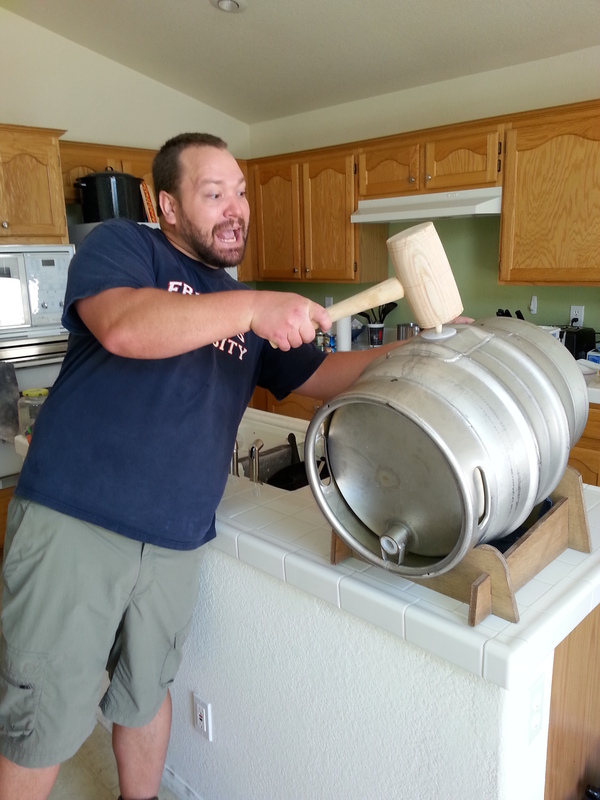 I also got a chance to make a special firkin for my 31st birthday party thanks to our generous owner Kurt Wiesner. It was Dirty Dog IPA aged on Yellow Birch wood and it was delicious. One of the most frequent questions I get asked at Big Dog’s is “What are you doing next? What’s in the works?” It just so happens I have a few things in mind. As I’ve mentioned, I very much want to make a Munich Helles. It’s a very wonderfully drinkable beer style that should work with 100+ degree temperatures and Helles and I have a thing going on lately. 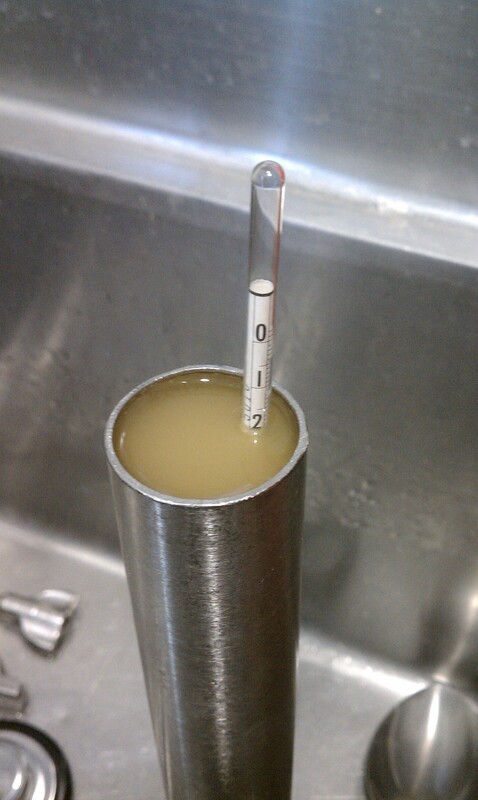 Besides that, I’m itching to use Wyeast 3711 French Saison on the professional level. It’s easily my favorite yeast and I think it could make both a wonderful light Lime Saison and an awesome Farmhouse IPA with Chinook & Nelson. The boys from Jester King have been kind enough to give me plenty of good advice and the next crack I get at the plate will likely use French Saison yeast. 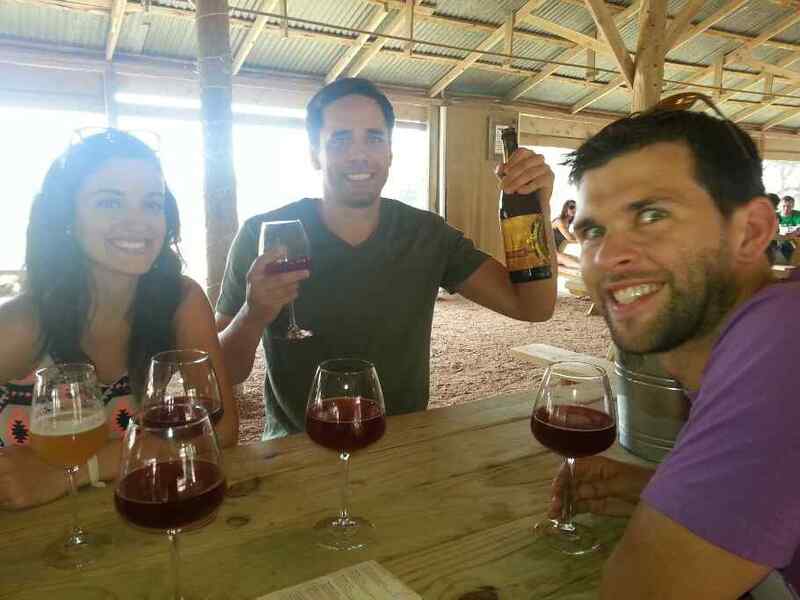 At this time I would really like to reiterate how great the Jester King guys are. They’ve been excellent hosts the 4 times I’ve hung out at their brewery, they emailed me uber-quickly when I asked for technical advice on yeast, and they make killer beer. They deserve only good things. Speaking of wonderful funky beer breweries, Prairie Ales has made some crazy good beers lately that have me running around promoting them to death and wearing their t-shirts. Both Prairie Hop & Prairie Ale (the first a Citra & Simcoe dry hopped saison and the second a saison with Brett & wine yeast) are awesome beers. They satisfy the creative homebrewing animal in you. 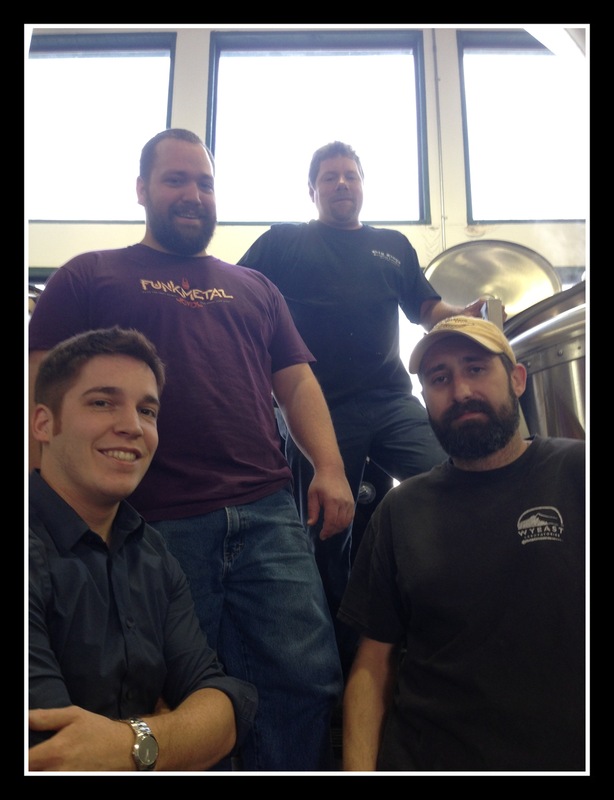 They are brewing what you would if you loved saisons and fruity American/New Zealand hops. And they’re in Oklahoma. And expanding like crazy. I imagine their team to be a bunch of bearded guys that you could take out drinking for a week straight and not get tired of them. That’s how cool they are. I will proudly be wearing my Prairie Merica shirt in the brewery tomorrow. I’ve never had it, but I know it has a metric ton of Nelson in the dry hop. And you best believe that’s good enough for me. 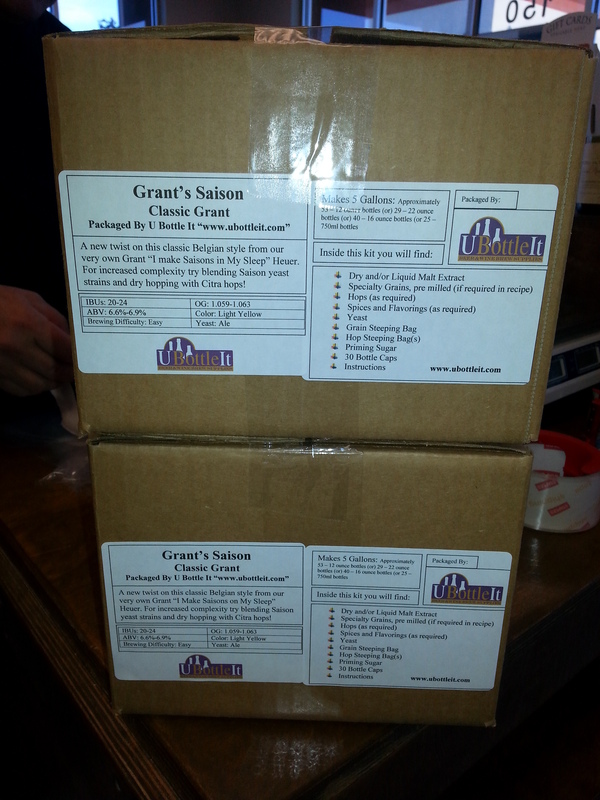 We’re still sitting on 44lbs of Nelson waiting to rock the party big time with Big Dog’s Double Down Under DIPA. The big news in the next few weeks is that Big Dog’s Summerfest is coming up on 7/20! We’ll have a bunch of fun easy drinking beers, but we’ll also have off the charts beers like BFM XV Saison (from Switzerland), Ichtegems Grand Cru Flemish Red, Stone Enjoy By 8-2 IPA, & Deschutes Fresh Squeezed IPA (with Mosaic & Citra). 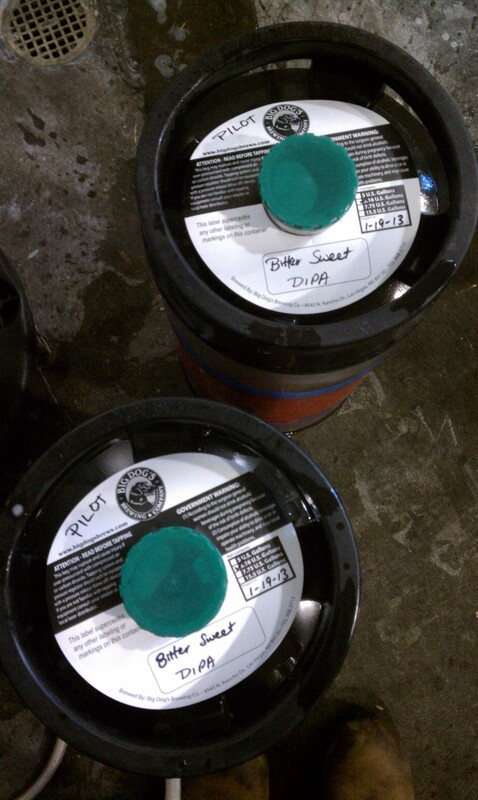 Not to mention all the great beers we’ll have from New Belgium Brewing. 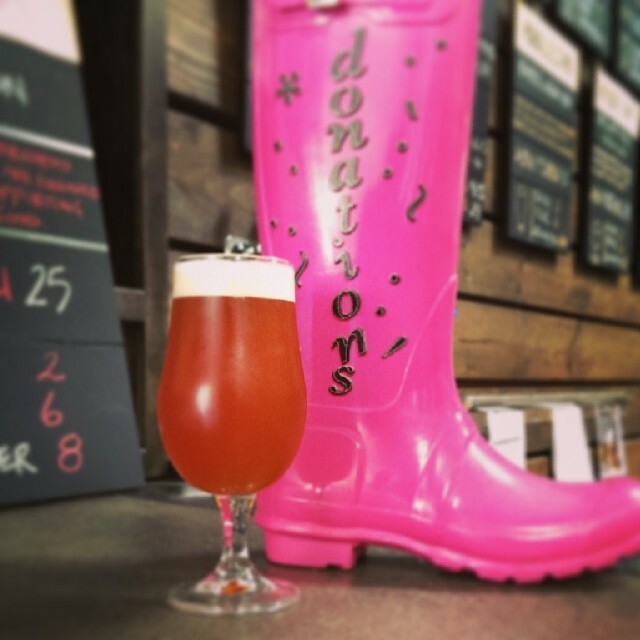 If all goes to plan we’ll have Prickly Pear Saison Aged in Peach Brandy Barrels, Cascara Quad, Feijoa Tripel, Pluot, Paardebloem, & Hop Kitchen Aramis IPA pouring at the festival. I’m very excited to try the Aramis IPA as the Aramis hop is a very intriguing lemony French hop new to the market. 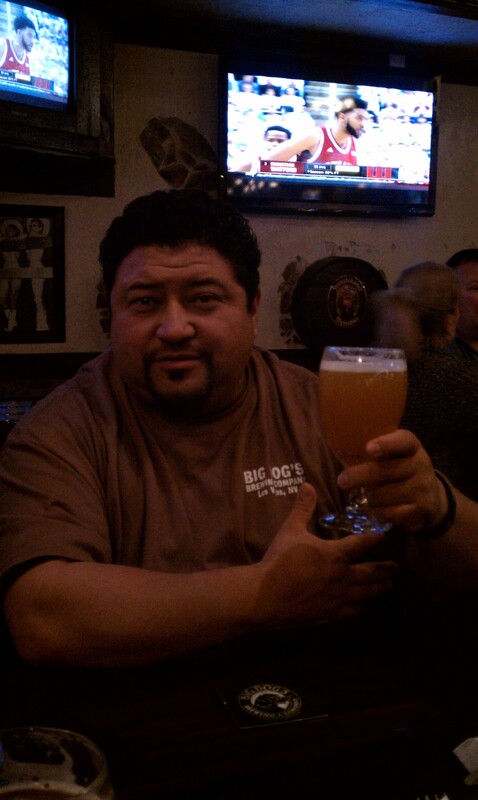 I must also add that the New Belgium Beer Ranger for Las Vegas (formerly with Tenaya Creek), Karl Herrera, is one of the nicest guys I’ve ever met. If I had to pick one man that was responsible for the success I’ve achieved to this point in this town it would be Karl. It makes it that much easier to support a good friend when the brand he represents is making so many new and interesting beers. While I’m thanking people in this town I also want to thank Guy Bartmess as he leaves Triple 7 and heads to Temecula, CA to help start Garage Brewing Co. Guy was one of the first people I approached in this town looking for a job and he was very open, honest, & knowledgeable. It was my interactions with Guy that kept me upbeat and hanging around for that one opportunity to come out of the blue. 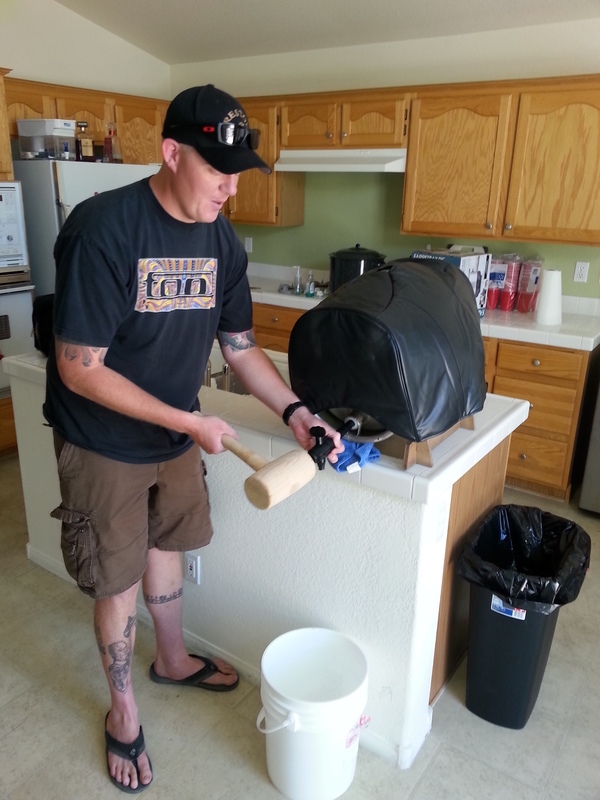 Chuck Croix of Pints Brewpub in Laughlin also deserves big time credit for training me for a solid month. 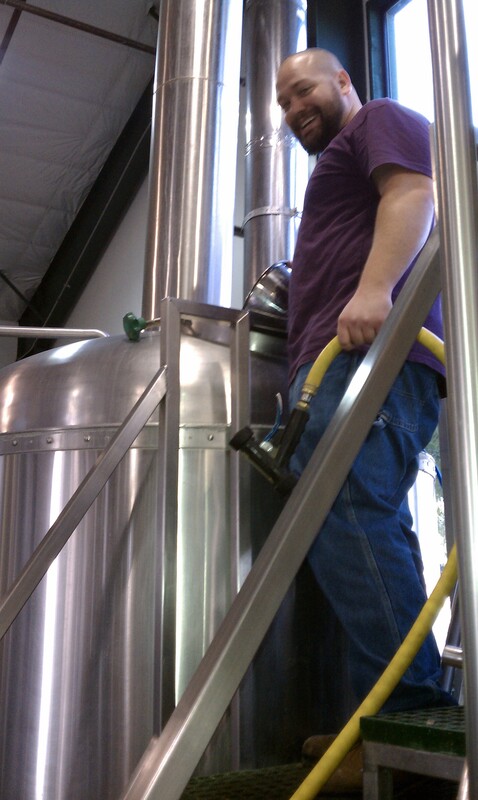 Training a newbie in a professional brewery is not easy and Chuck was great at it. 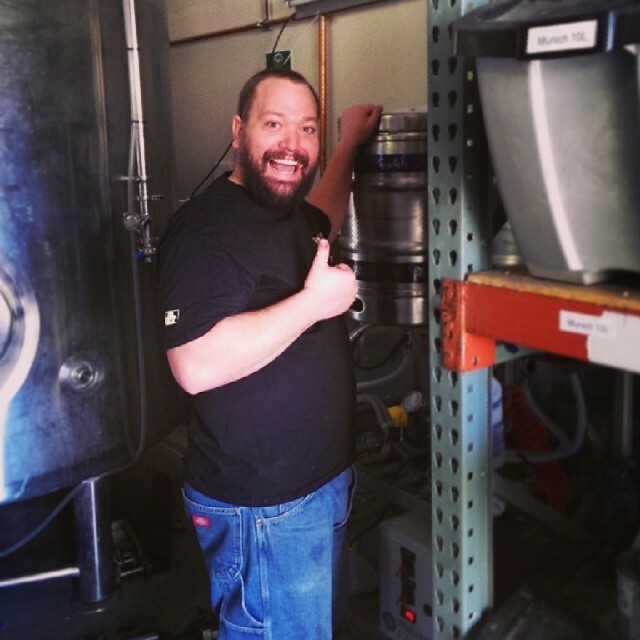 Chuck is both making good beer and he’s a good guy. I hope anybody that gets a chance can go down and see him and try his beer. We’ll proudly be pouring his Pilsner at Summerfest on 7/20. Finally, I want to thank Dave Otto. He hired me as a lowly homebrewer and wasn’t even aware of my Laughlin experience. 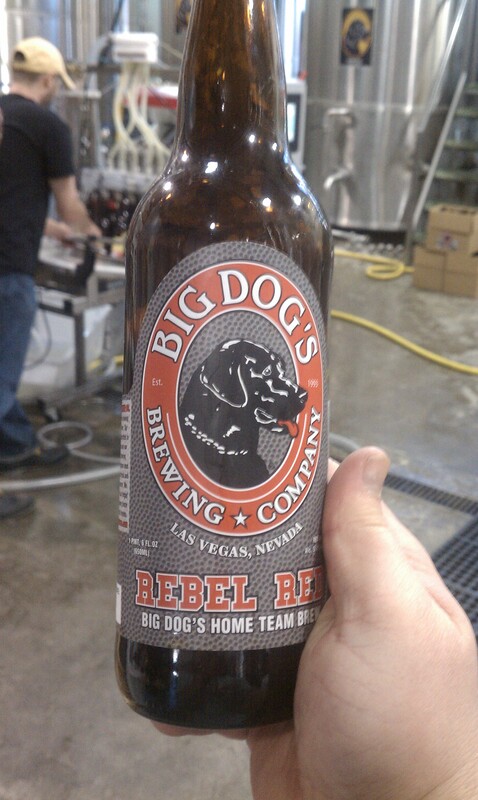 Dave Otto welcomed me into the best and oldest brewery in Las Vegas and took great care of me. I must say it’s a pleasure everyday to work with such an accomplished brewer and get to see behind the scenes on things like the recipe for War Dog Imperial IPA. I only hope that someday I can take care of Dave the way he has taken care of me. Well, that’s all I have for now. Be well and prosper fellow brewers! But unfortunately in the WLP560 Saison world where the beer is still cranking along at 2 Plato, it was most certainly not going to be in medal-winning form for the big festival. I was at peace with this for 3 reasons. First, I want to start strong out of the gate as far as balancing beer quality with the reality of dealing with a business environment. I want the community to know that if I have any say, my voice will be a reliable advocate for making the best beer possible over all other concerns. If I put my brand on the line, then I’m behind it fully. I can live with people not liking my beer, but I need to know I did everything I could. Secondly, releasing the beer when it’s ready allows us to have a separate event from Winterfest on Wednesday night! Given how much I love our little beer community and how heavily I’m invested in helping it grow, I relish getting a chance to talk to everybody about a new beer without the frantic pace of a beer festival in the way. Finally, for the dozen or so of you that I know and were persistent I was more than happy to give you a small sample off of the fermentation tank last Saturday. Evidence of such was easy to find as there are already 5 Untappd check ins to a beer that hasn’t been released (or even cold-crashed & carbed up)! I’m sure management thinks I’m operating fast and loose, so come have 5 or 6 pints on Wednesday & leave with a growler to ease their troubled minds! Speaking of Winterfest, it was a killer festival! I’m told it was Big Dog’s best grossing day in its entire history! 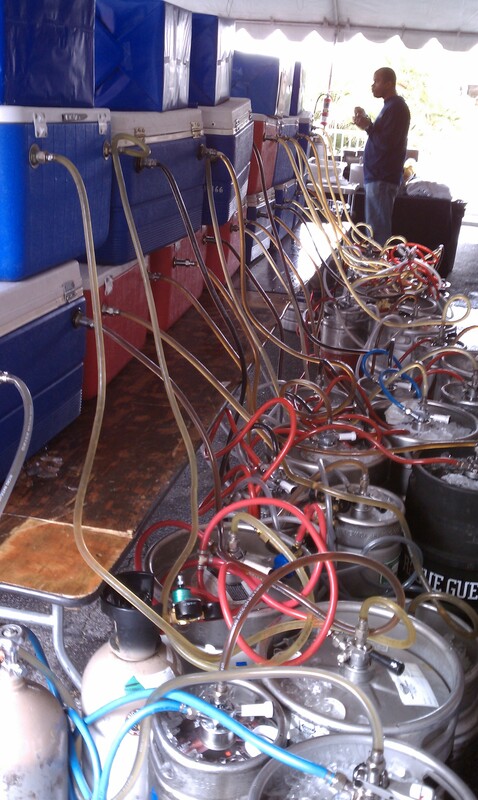 I had a lot of fun and poured a ton of beer when I wasn’t busy giving exclusive 5 minute brewery tours. It was great to see so many good friends come out and have a good time. Quite an endeavor my friends, but all a labor of love. I truly enjoyed every moment of it and can’t wait for Peace, Love & Hoppyness on 4/13! Also, The I Love Beer Show strolled by (and heartily partook) in Winterfest. Click here for a solid 17 minutes (starting at 3:45) of your very own hero promoting Big Dog’s and being a silly beer drinking individual in general. The guys from the show were a lot of fun, definitely enjoyed the beer lineup, & I look forward to working with them in the future. All in all, my first fest was a great time and I have to thank all of my people that came out and supported us. I look forward to sharing many pints over the years with all of you! Ten ounces of Citra & eight of Ahtanum (plus how good it smelled when I spilled some on my shoe while transferring) says this will be the best one yet. I’m an 11 out of 10 on the excitement scale about trying it. That’s how I know it will be awesome. Regardless, if you’re a friend of mine then trust me when I say you’re a friend of his and vice versa. He’s killing it for Joseph James right now as evidenced by their new beers like Citra Rye Pale, started a new blog, and is probably the nicest guy you’ll ever meet. He’s also helped me out time and time again as far as homebrewing, needing a ride home, & just being a rock solid cat I can count on. 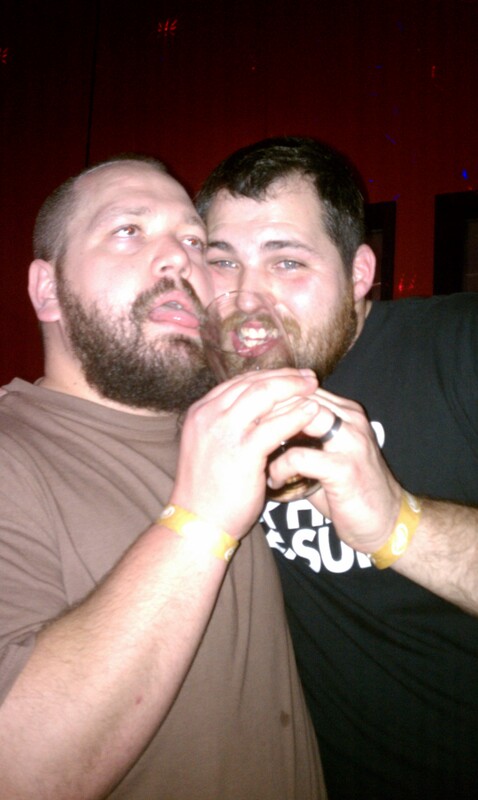 Show Weston love and buy him beer whenever you see him. He deserves it. I also want to thank this beautiful Las Vegas beer community as a whole again. I can’t thank everybody enough and really look forward to hanging out Wednesday night. Hello once again friends! My apologies for the infrequent updates. I’m often wiped after a day in the brewery. My body must still be adjusting to having to actually physically work for a living. 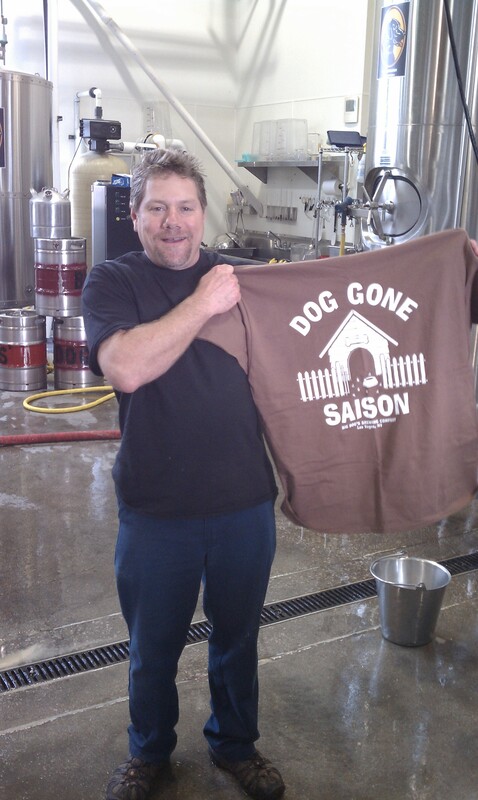 The obvious update that I’ve been putting off is letting everyone know how the Dog Gone Saison brew day went. It should come as no surprise that the ever ballsy Dave Otto and his trusty Head Keg Washer slash Saison Aficionado would knock it out without a hitch. 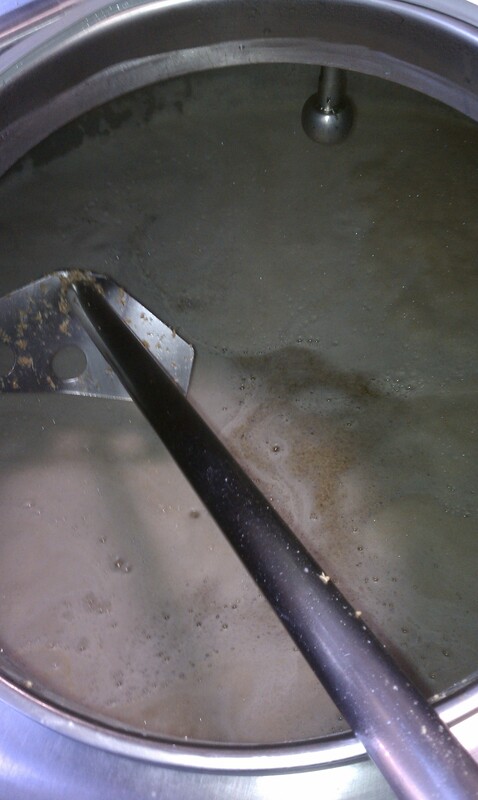 No stuck mash with the rye & wheat. Hit our targets. A little dextrose in the open grant never hurt anybody. Good times were had. My little yeast crew was rocking the party! I was such a proud father! All was well. However, as of yesterday we were only down to 3.6 Plato (1.014). Dog Gone has cranked along consistently for 11 days now and we need to have it ready for Big Dog’s Winterfest on Saturday. It’s going to be tight. Everybody keep Dog Gone Saison in your thoughts and prayers as it ferments its way through these difficult and rushed times. 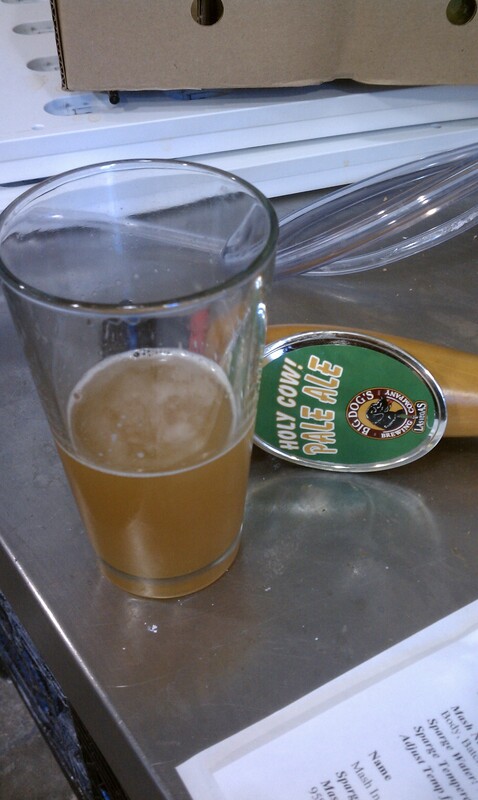 The good news is I think it tastes great whenever I pull a sample off the tank. Banana, bubblegum, heavy spice, melon, & earthiness stage a friendly assault on my pallet. It’s young, it’s Belgian, and it takes its sweet time. As you can see What’s My Name Dog has been re-named Bitter Sweet Dog. It was going to be called Bitter As Balls because that was Dave’s first reaction when he tried a sample, but it also crapped out at 1.021 and carries a legit amount of front end sweetness. I would describe the flavor ride as: smells great, tastes a little sweet, and holy crap that’s a lingering bitterness. We’re on the fence about serving it at Winterfest. Massive office damage due to freezing conditions is enough for me to excuse any wrongdoing on my part for not making a killer DIPA. 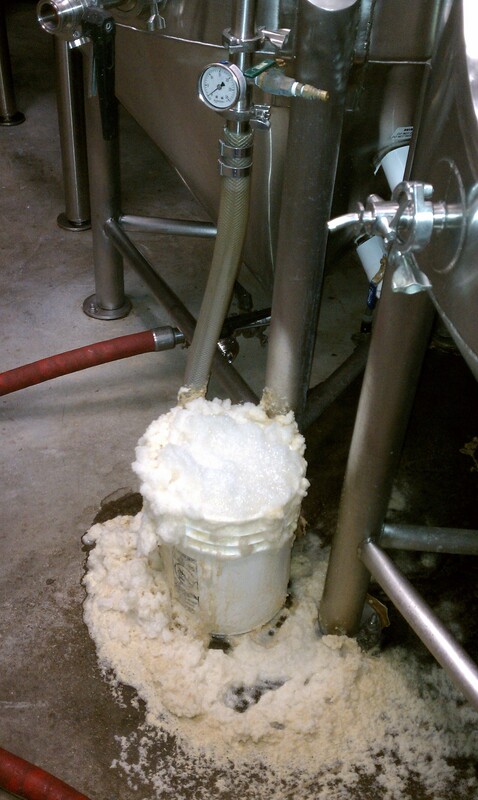 Speaking of disastrous pilot brews, Clyde and I had a little trouble with our Imperial Red Hydrant yesterday. If it turns out delicious then we meant to do a 4 hour boil. Otherwise it’s a prime candidate for turning into a Flanders sour project. In other news, my homebrew saisons Dank Dog & Dog Gone Ahtanum seemed to have reached their terminal resting places at 1.013 & 1.014 respectively. A little high, but we’ll see how they taste when I bottle them up this week. I also want to give a shout out to Iron Fist Brewing in Vista, CA. Their head brewer Chris Klein dropped in and hooked us up with a case of beer goodness, shirts, stickers, etc. Good dude, good beer, and definitely worth checking out. The Hop Dog 500 forklift is proudly rocking an Iron Fist sticker and we’re happy to show love to another small & innovative brewery. I feel that I also should mention that much of my week will be consumed by Big Dog’s Winterfest preparations. We should have a pretty awesome and large lineup of good beer and good times can be had by all from 2-9 pm on Saturday January 26th. I’ll likely be working and not partaking too heavily, but please feel free to say hi. Shaved head, unkempt beard, big smile, 6 foot, 260 pounds. You can’t miss me. Finally, I want to send out a big thank you to the Las Vegas craft beer community that has made me feel wholeheartedly embraced in my short time here. Be well and recruit a DD y’all. Hero out.